I suspect that for many immigrants, when you are born into the melting pot of the United States, it may be hard to show your heritage without being deemed different, and not "fit in." Such was the case for myself and my siblings as well as some of my Italian American friends. 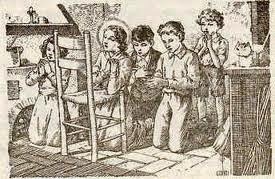 As Roman Catholics, we would say the rosary every night as a family, kneeling in our home beside a couch or a chair. My parents were oblivious of the neighbors and what they might be thinking. Mom would come out on our front porch in the Bronx overlooking our street where everyone played in the early evening, and announce, "Eileen, Mary, Patrick, Una, Brian and Noreen, come in for the rosary." Our friends and neighbors were curious and would ask us if they could join us. What was this "rosary" and could they see it, be a part of it? Friends who came were Catholic, Protestant and even Jewish. Of course they were welcome. We said the rosary so fast it was indistinguishable to other Catholics. Hearing my father or mother speak, they would say they loved their "accent". Or, "what are they saying?" To us, we heard no accent or brogue. It was just our dad and mom. "What accent?" we would ask? As we grew up, the Irish step dancing and feis competitions attended were also foreign to most people in our neighborhood. We would take subways, buses, taxis to the competitions and meet other Irish Americans and exchange contact information so that my parents could stay in touch. It was at a feis in the Bronx where I first met a girl, with long dark hair and eyes that made me rethink just what it meant to be Irish. Her parents were Irish and Spanish and she was taking Irish step dancing lessons to keep in touch with her heritage. I thought that was so cool. She looked so different from all of the other step dancers who were redhead, blonde, white skinned. I thought that was so exciting. Living in the Bronx surrounded by so many different nationalities, it was fun to meet people from other backgrounds and hear about their culture. I was fortunate to meet and marry someone who shares my birthplace, America and the Bronx, but not my heritage. I find the need to know and understand one's heritage is one I have tried to instill in my own family but it is a challenge to encourage them to embrace their heritage. My husband is of Puerto Rican descent. Interesting, both our homelands are islands, very lush and green, and the people are an incredibly friendly and family focused culture. I hope that the heritage of both these proud cultures can be enjoyed by my now extended family and enriched by my blogging and their own genuine interest in learning more about them. It definitely helps that we share the same faith tradition, Roman Catholic. But as our family grows we find that more of the cousins are marrying into other cultures and traditions. It is exceedingly clear that we are becoming even more diverse. For that I am grateful and hopeful for the next generation. 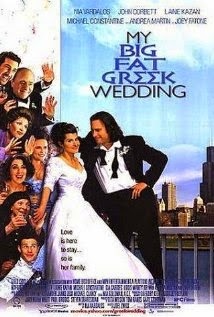 One of our favorite movies is "My Big Fat Greek Wedding." So many of first generation American-born children have similar experiences that this Greek family experienced. If we could laugh and learn from each other, how much better a world we would live in. If we could only reflect and see the similarities and try and understand the differences while celebrating the joy of friendship and the power of love. Saying the rosary is such an Irish tradition. My family said the rosary together every evening too when I was growing up. The US is constantly evolving and changing as we all learn from each other. Thanks for another thought provoking post.